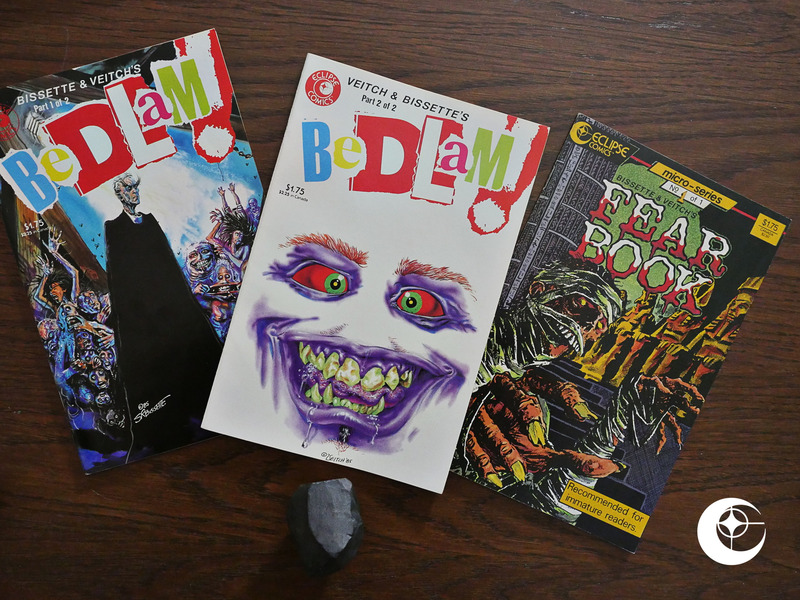 Bedlam (1985) #1-2, Fearbook (1986) #1 by Stephen Bissette, Rick Veitch, et al. For one, we’re told where the original stories appeared, which almost none of the other ones kept as a secret. Secondly, it’s two artists, and these are not collaborative pieces. Fifthly, these are not from the late 60s and early 70s, but from the late 70s and early 80s. But most importantly, c), they’re rather good. Most of the pieces aren’t stories per se, but rather vignettes that hint at a story. 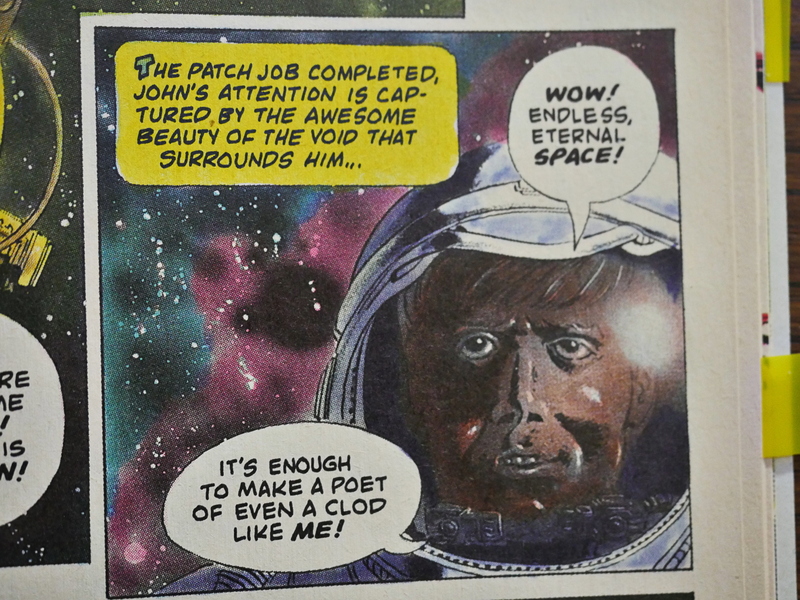 Some of the stories are not in the artist’s usual style, as this not-so-messy Veitch bit. And there’s some simple gags. 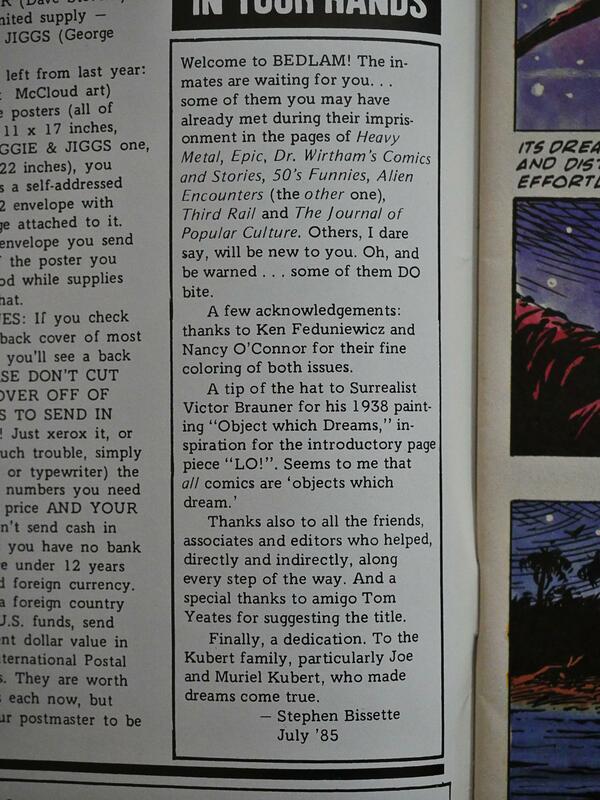 Somehow, they allegedly got Steven Spielberg to contribute a blurb in the second issue. 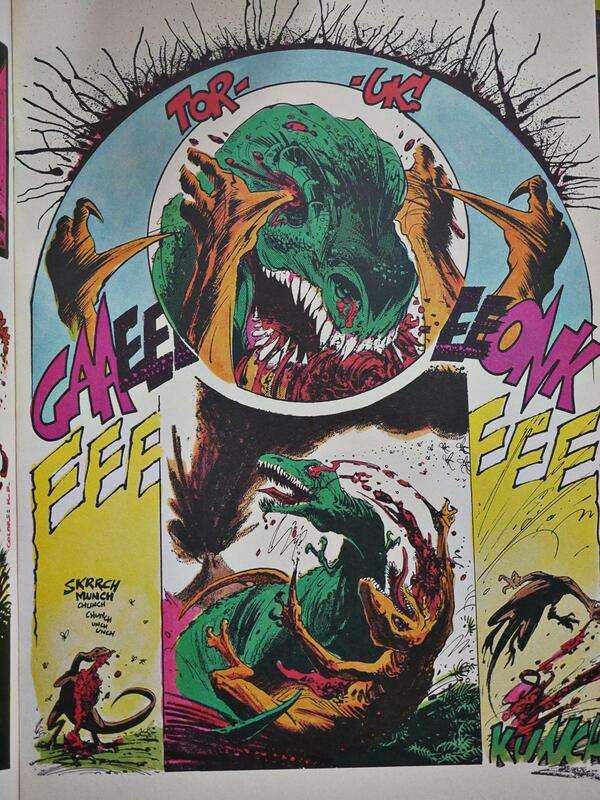 This Bissette thing from 1980 foreshadows his attempt at making a series about dinosaurs early in the 90s. The infamous Nutpeas! 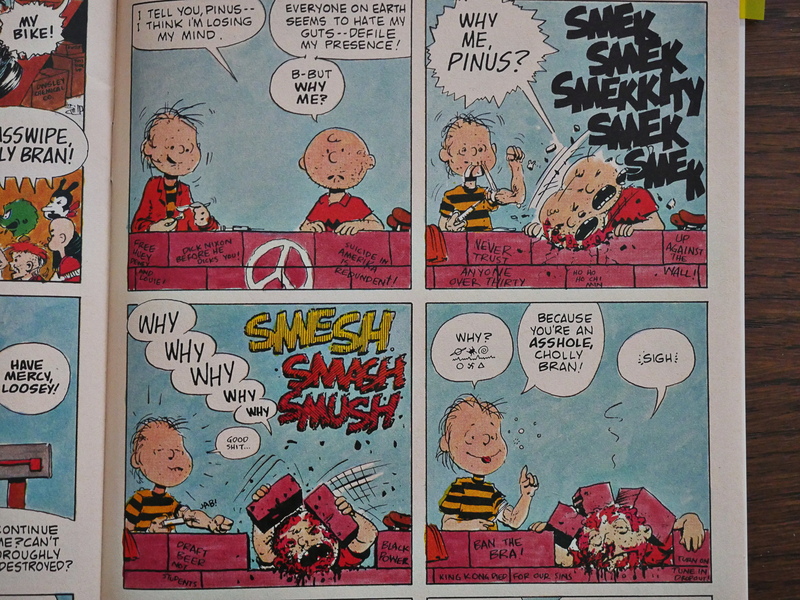 Peanuts parody, which is not signed by anybody, but has to be by Rick Veitch, I think. Very unlike his normal style. And here’s the only collaborative piece. 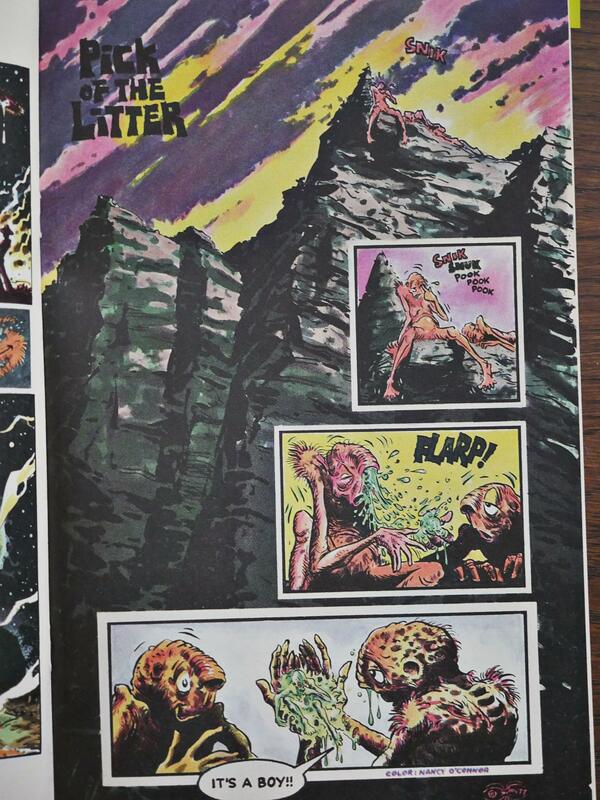 John Totleben was also involved somehow. So what’s that all about, then? Why not just do one comic per creator instead of mixing it up this way? 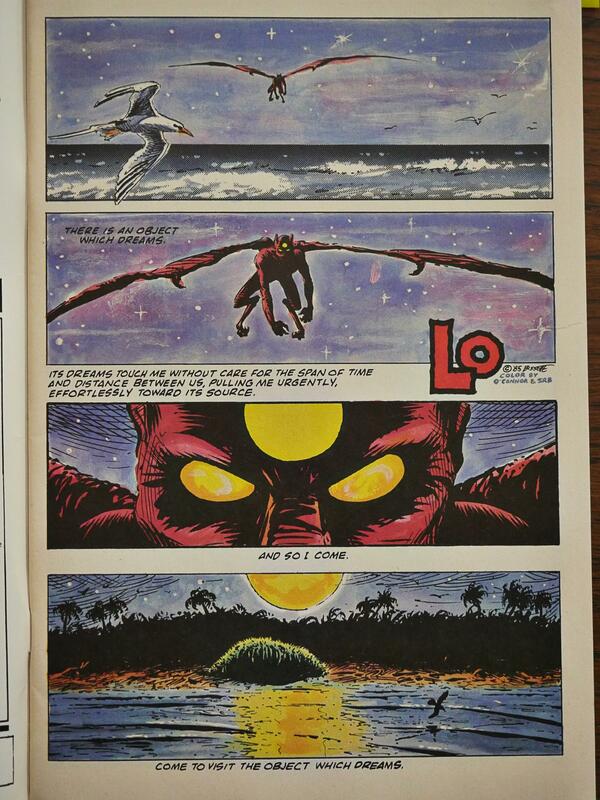 Both Veitch and Bissette had worked on Swamp Thing by this point (I think), so there’s probably some crossover in the fan base… And I think the mix really works: These are fun, brisk reads. If Bedlam was a pleasant surprise, Fearbook is a bit of a letdown. 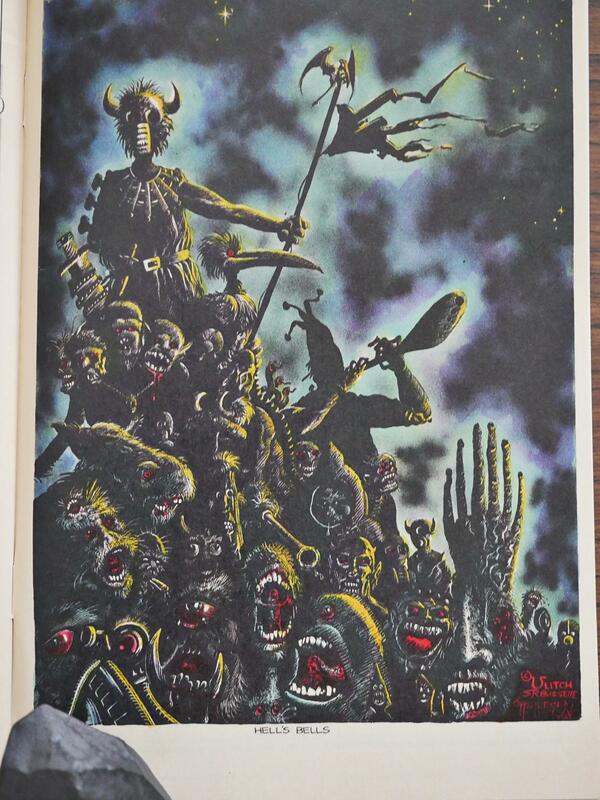 It’s slightly earlier work, and Bissette’s artwork’s fine, but the stories have nothing of the inspiration of the first book. 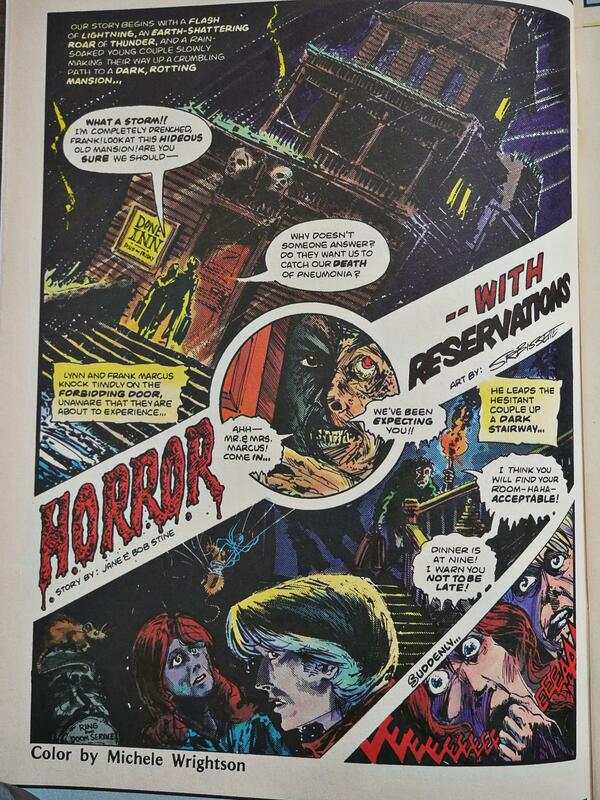 Most of the stories are solidly in the EC tradition with a pat twist ending and some lame word play. 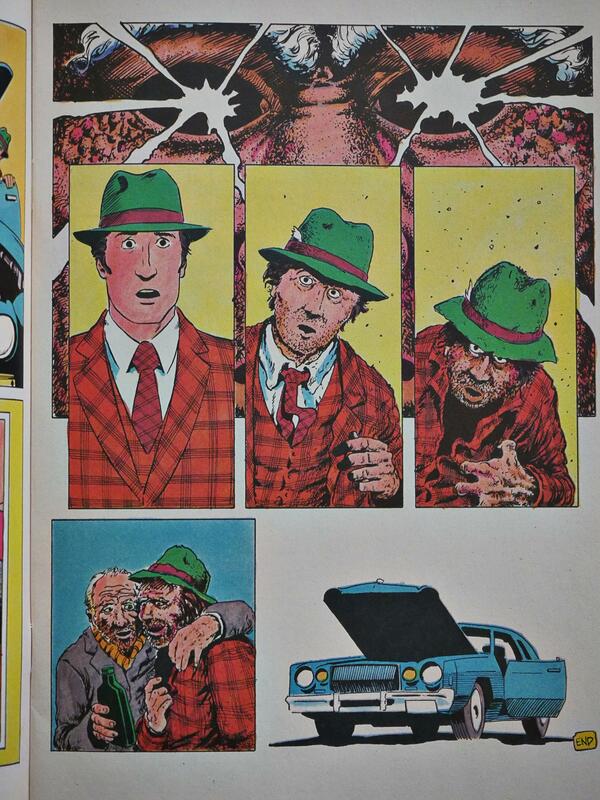 The best piece in the book is the only one with artwork by Rick Veitch. It’s a not very original time loop thing, but it’s well executed. Hm! 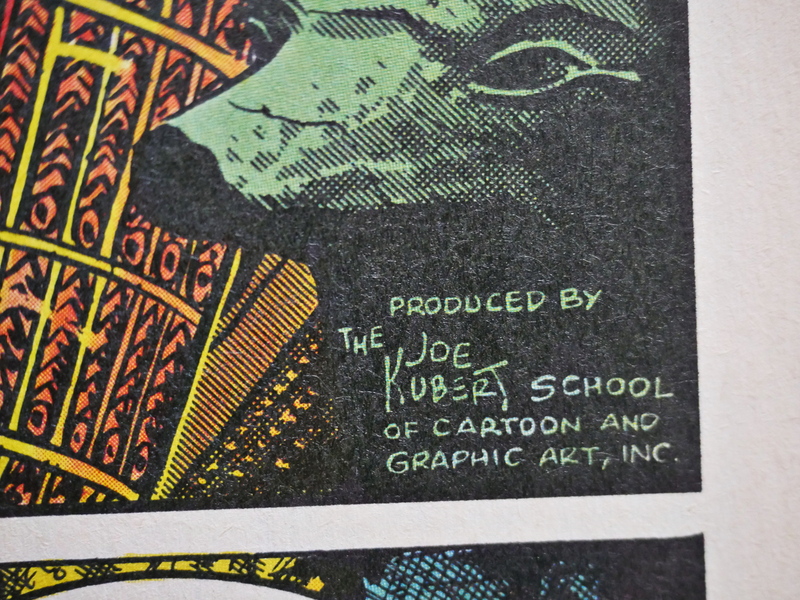 One of the stories says that it’s produced by the Joe Kubert School? 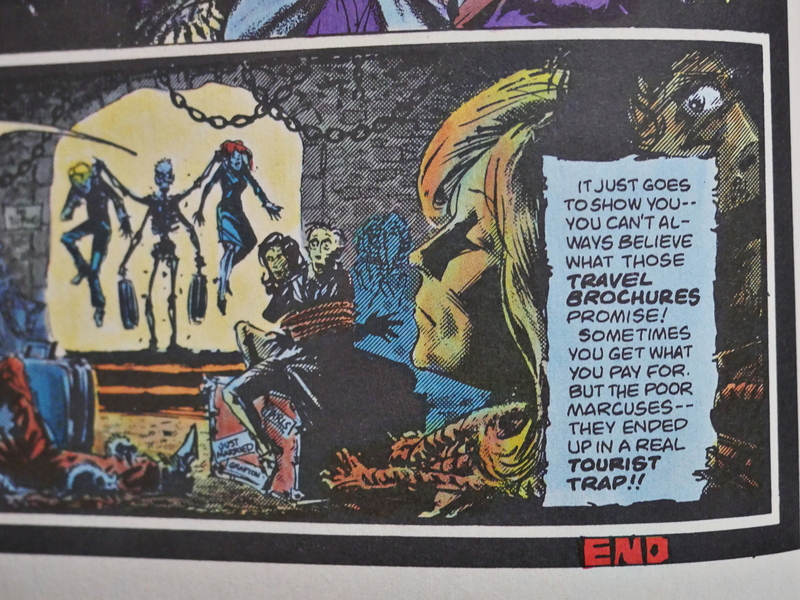 I was thinking that I was going to do some research here, because Eclipse tends to be tight-lipped about where they source their reprints, but fortunately Bissette pops up and gives us a detailed rundown on how this all happened. 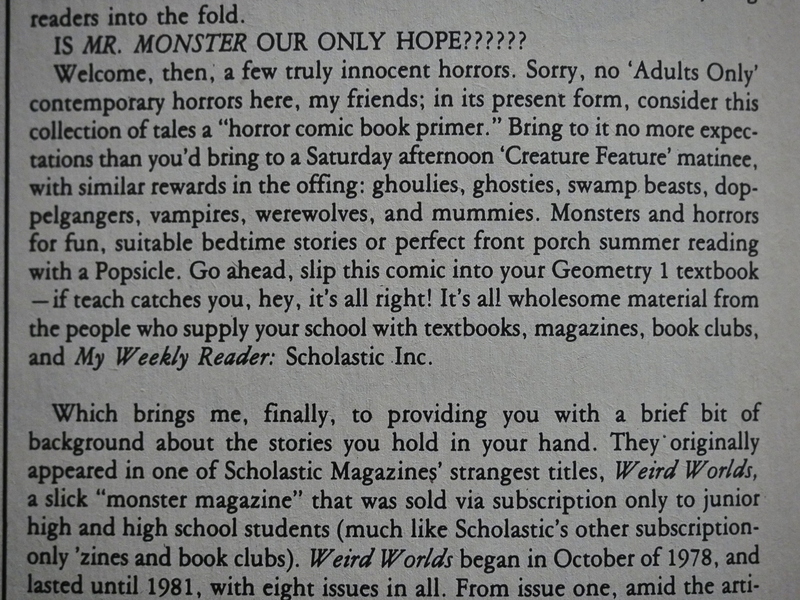 tl;dr: Bissette and Veitch were at that school, and one of the assignments were to illustrate a short horror story for a magazine published by Scholastic. And after graduating, Bissette continued to work for them. 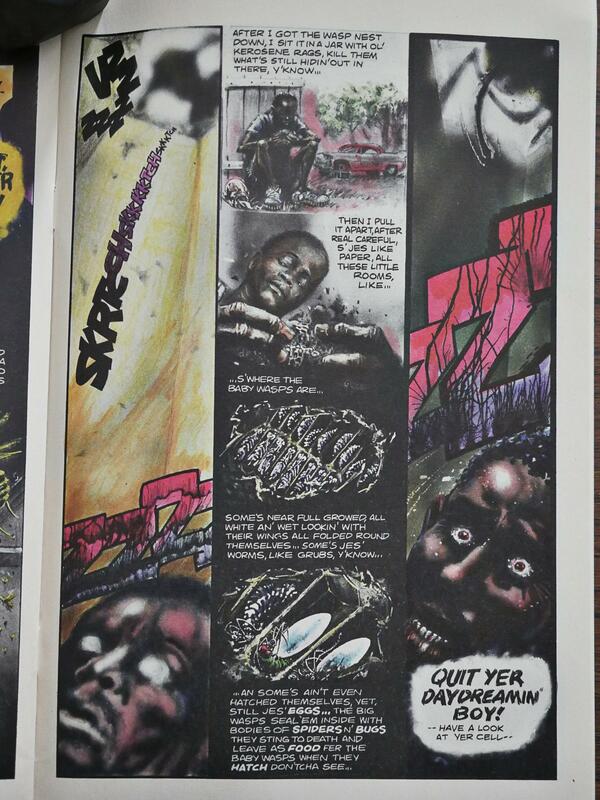 These were geared towards young teenagers, which explains the relative dearth of shocking things happening. 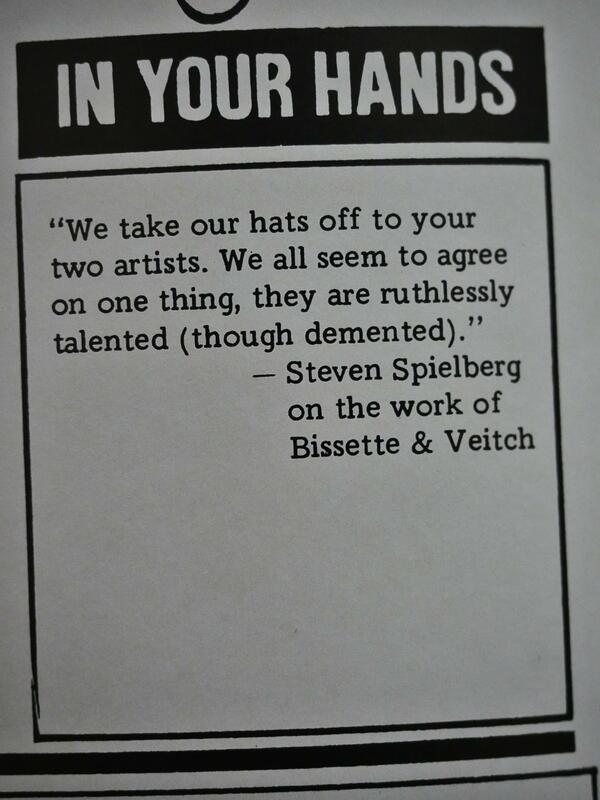 The Speilberg quote, I believe, was from the 1941 adaptation that Veitch and Bissette did for Heavy Metal.